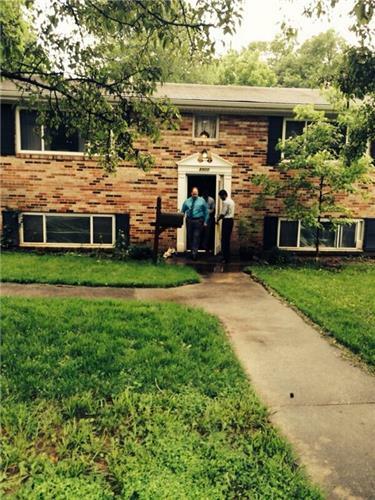 Heavy rain pummeled Prince George's County and the District Tuesday, June 10. The heavy rain quickly flooded roads and numerous water rescues were needed to save stranded motorists. 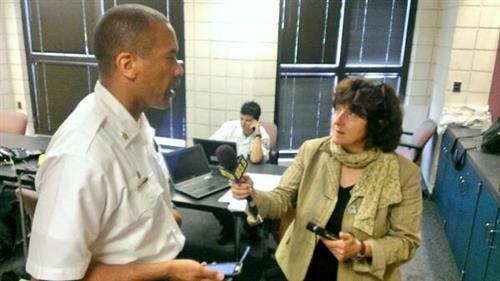 WASHINGTON - Prince George's County emergency crews made about two dozen water rescues Tuesday morning after several inches of rain fell, triggering flash flooding. 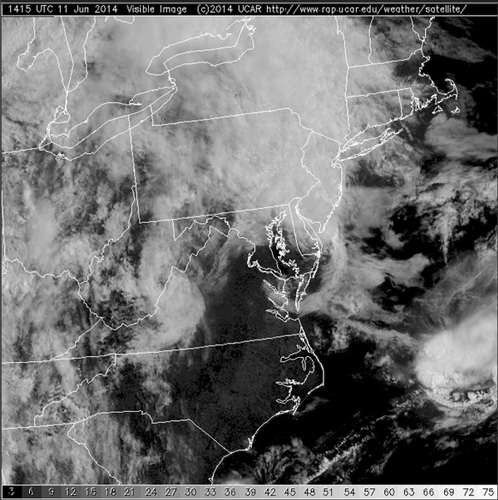 And there's no immediate end in sight to the deluge. 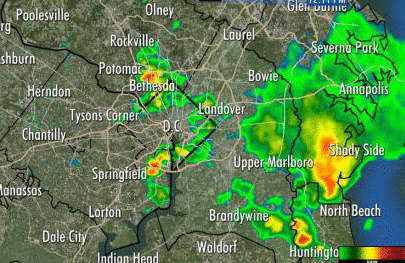 Four to 5 inches of rain fell over portions of the county Tuesday morning, says ABC7 meteorologist Lauryn Ricketts. 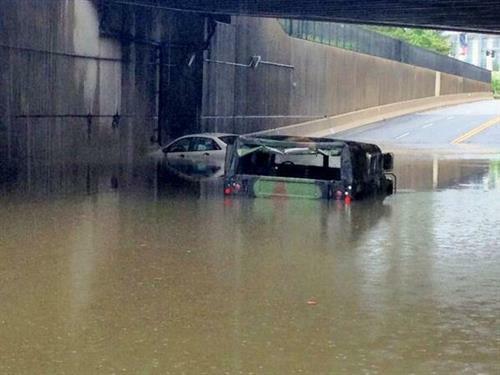 Water quickly surrounded motorists without warning, stranding them in place, fire officials told WTOP. 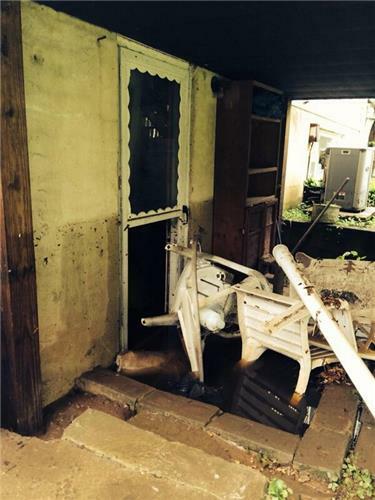 Fire crews also rescued two dogs from a flooded backyard, according to the fire department. 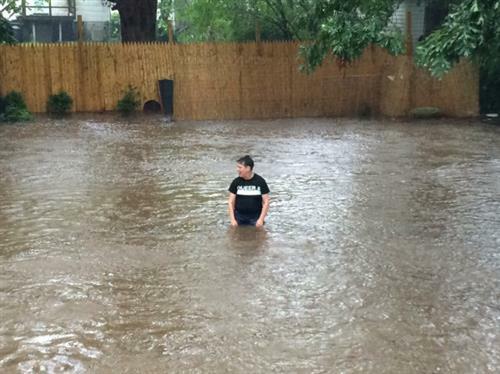 The heavy downpours flooded basements in the Berwyn Heights neighborhood and dosing the out natural gas pilot lights on water heaters, bringing the risk of a gas leak. Pepco also cut power to some homes. The residents of about two dozen homes were told to leave, the fire department says. 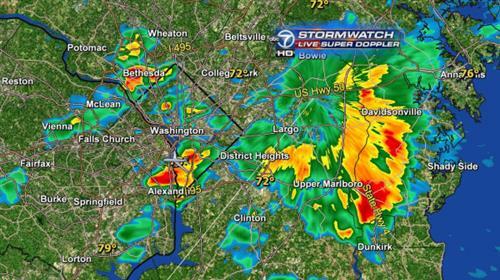 College Park and Hyattsville were also hit hard by the rain and flooding. The metro area remains under a flash flood watch until late Tuesday night and into early Wednesday morning because another set of showers and storms is expected to move into the region Tuesday evening. Sunny skies are not on the horizon. There is a 60 percent chance of rain on both Wednesday and Thursday and that risk drops to 50 percent on Friday. The good news: The weekend is supposed to be sunny. Flood warning map as of 5 p.m. 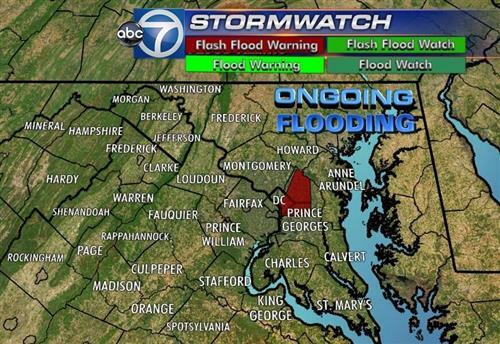 The National Weather Service has issued a Flash Flood Warning until 2:30 p.m. for North Central Prince George's County. About 10:30 a.m., as much as 1 inch of rain had already fallen over the same area and another 2 inches were possible. The severe weather has left a number of you without power. Pepco has 550 cutsomers out systemwide. The bulk of the outages are along East Village Avenue in Montgomery Village. A spokesman for Pepco says crews are on the scene and that customers can expect to have their power back by 3 p.m.
Other power companies are reporting scattered outages. If you need the number to your power company, text "power" to 91035 and we'll text them back to you. Water Rescue on Central Ave at Watkins Park Dr in Largo. 2 occupied vehicles stranded in high water. A tree is on top of one of the cars. 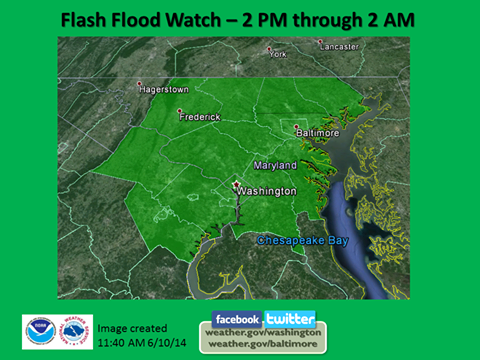 Heavy rainfall around the region Tuesday morning triggered flash flooding in Prince George's County and the District. 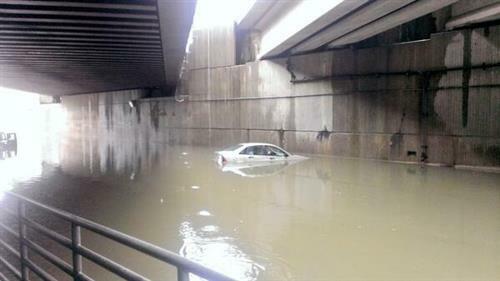 Water quickly covered roads and numerous water rescues were reported.